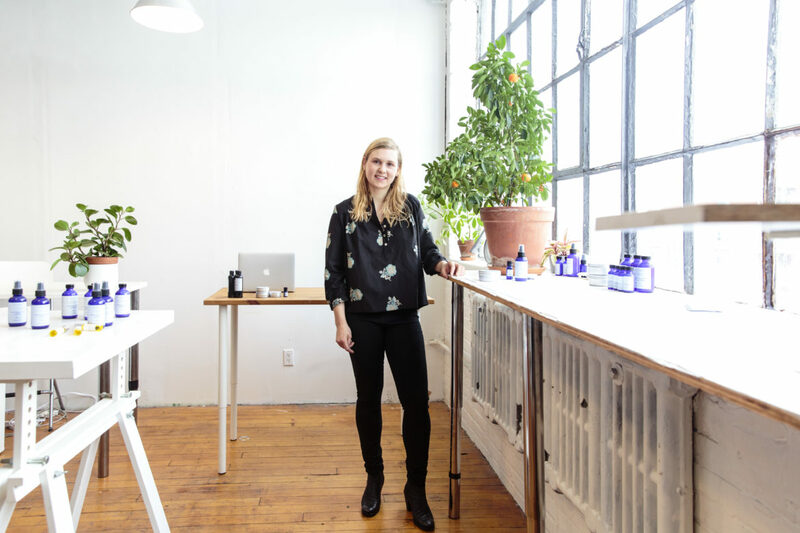 Behind the Brand: Casey Coyle ..
After struggling with allergies and eczema all her life, founder Julie Clark began crafting natural, organic beauty products out of her kitchen. 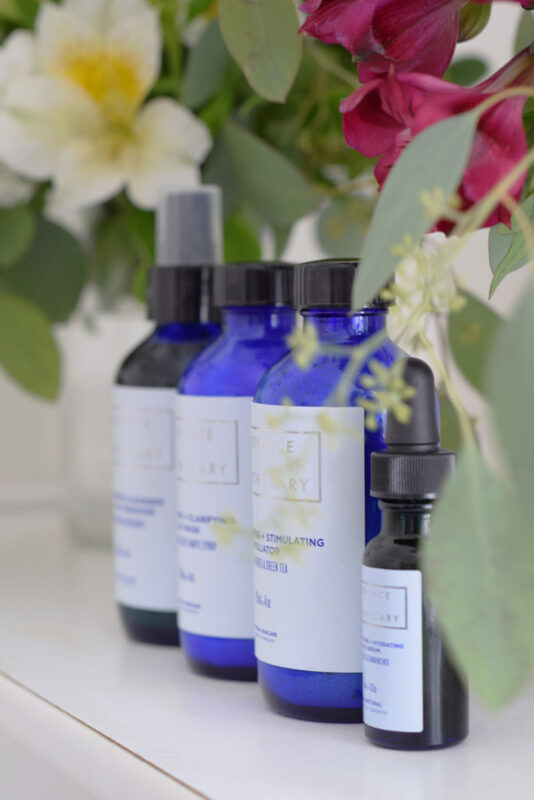 Despite her busy schedule as a costume designer and stylist, Julie found herself drawn to holistic skincare, using her time off to experiment with oils, waxes and herbs- all in pursuit of the perfect skin care regime. In 2010 Julie began studying Aromatherapy, Holistic Health and Aesthetican in Toronto. 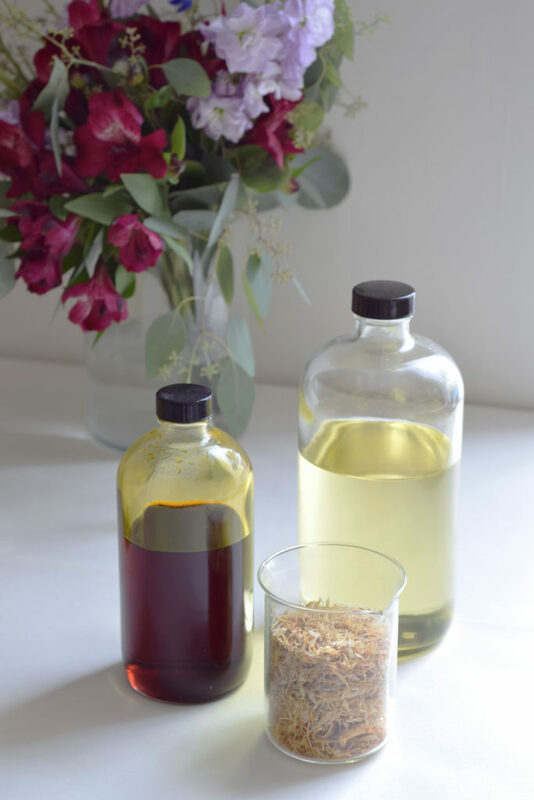 Here she formed the foundation of her skincare expertise, experimenting with raw materials and natural ingredients. We had the opportunity to chat with Julie about her journey and what inspires her daily. What is the philosophy behind Province Apothecary? 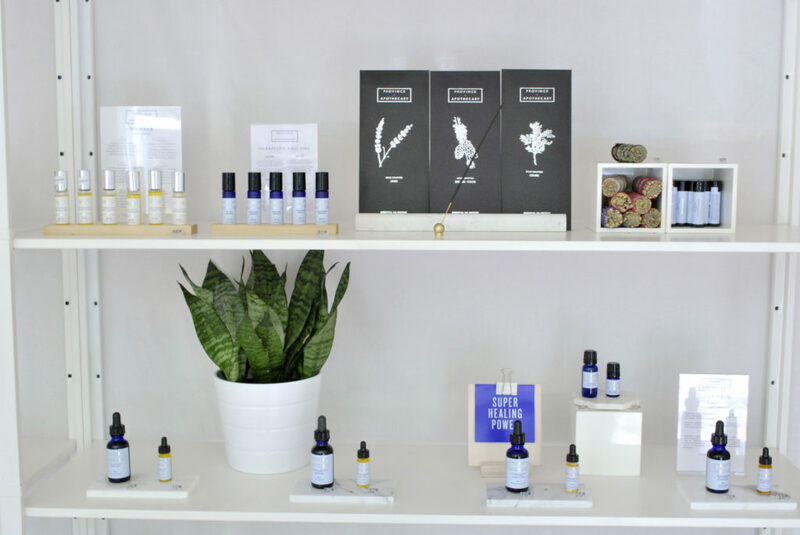 The philosophy behind Province Apothecary is GREEN, CLEAN + Effective skincare that works for the most sensitive skin. I also try to primarily source Canadian ingredients because we have so many amazing raw ingredients available! 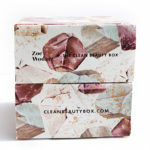 What makes you most excited about clean beauty and this industry? We have a Skincare clinic and offer facials daily to our clients. It’s amazing to witness the fantastic results all of our clients see after switching and using natural green products. It makes me so excited to see eczema calm down, pimples disappearing to never appear again, scars naturally fading with the help of essential oil and extremely dry skin becoming balanced and naturally hydrated. Where do you find inspiration for your products? I am constantly inspired by our clients and their needs. The line was originally inspired by my needs and what I thought was missing in the industry. Now everyone who works for us and walks through the door is an inspiration. We just launched our new Clear Skin Advanced Spot Treatment because I saw a need for a spot treatment that targeted cystic pimples. What are your favorite ingredients to work with and why? Turmeric essential is a current favourite along with our Organic Canadian Seaweed. I use it everyday on our clients, and it’s in our Clay mask. Seaweed is amazing, it is wonderful for small inflammation bumps, it helps exfoliate the skin and is deeply nourishing. What is your most beloved product by you/your customers? These 2 are my favourite products – Hydrating Rescue balm I have extremely dry hands and I use this product every time I wash my hands. It has saved my hands and I no longer have cracked, dry skin. 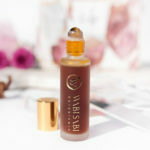 Our custom serum is my next favourite product and our client’s favourite product. It doesn’t matter where you live, we can blend you a custom serum, you just have to fill our our questionnaire and send us a photo! It’s so much fun and blending custom serums is one of my favourite things to do! What does your personal beauty routine look like? It is simple 🙂 I try to keep my whole life simple. Everyone morning I wake up and use of Facial dry brushes (they will be available next spring/summer) Then I wipe my face with a wet wash cloth, apply our INVIGORATING + BALANCING toner, custom serum, moisturizer + our Clear Skin Advanced Spot Treatment if I have a spot I also try to dry brush my whole body every day, and I love using a tongue scraper and a neti pot (if i feel congested) That is it for my beauty routine. I never wear make up and love air drying my hair. I shower at night and exfoliate every 2-3 days. I cleanse with our oil cleanse if it’s not an exfoliating night. Afterwards I hydrate my whole body with our new body oil that is launching in October, then apply toner, customer serum, moisturizer . If I have any spots I will apply our Clear Skin Advanced Spot Treatment and then our eczema balm on top ( this is my secret weapon, it helps reduce redness and inflammation and helps make your spots disappear over night). Just before bed I apply our rescue balm and eczema balm to my hands and put on gloves. I have had eczema on my hands since I was a baby. I get little outbreaks due to stress and my diet, and even if I don’t have an outbreak I love the routine or moisturizing my hands every night. Taking care of myself. My self care rituals make me feel grounded, rested and calm. I feel beautiful after a wonderful relaxing meditation or an intense soccer game. 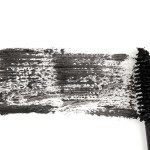 What is your philosophy on makeup and which, if any, products do you use? If you like wearing it, wear it! I don’t like wearing it so I don’t. I always suggest wearing natural make-up without petroleum. Don’t give up, believe in yourself. It’s a lot of work, so take care of yourself. Can you share anything you are currently working on for future release? I am so excited for our new releases in the next couple of months. We are launching a beautiful and toning body oil in October, a Canadian Sea salt Soap and Limited Edition Sweet Orange + Bay incense in November.